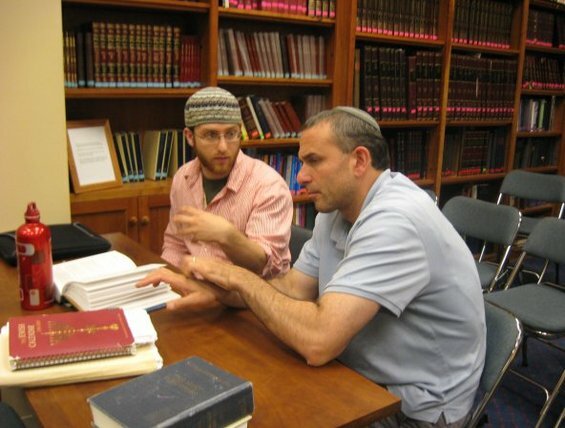 David Goldstein coordinates the YESOD Youth Educator Initiative and has worked with the Moving Traditions Jewish Boys project and countless Jewish boys on their journeys. Q: When you were a teenager, what were your biggest issues with Jewish education? A: I was a “typical” Jewish kid who dropped out of organized Jewish life immediately after my bar mitzvah. The years until my mid-twenties (when I re-affiliated with Judaism), were a wasted opportunity. Sadly, this is still the case with many other Jewish boys. Q: How are teenage boys different now? How does that present new challenges to educators? Q: What are some of the approaches that seem to work best with this group? A: We need to think creatively about how to link our people’s basic values and ideas to the most important things boys think about. Q: What doesn’t work so well? A: Thinking that we always know what is best for them. Instead of thinking about boys’ energy as a raging tidal wave that we need to push against, how about thinking about it as a burst of energy that needs to be channeled and expressed in its unique ways? I challenge anyone to observe (or better yet, play with) boys in a basketball game or other intensely physical activity. Sit with them afterward and you may find the most beautiful and profound ideas coming out of them, if given the opportunity.